A 29-year old airport employee described as “suicidal” has crashed an empty plane he stole from the Seattle-Tacoma International Airport on Friday night. 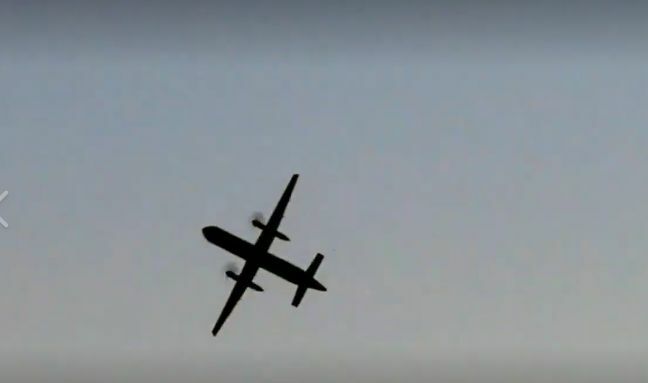 According to the Pierce County Sheriff’s Department, the man, who was called Rich by air traffic control personnel, is an Alaska Air Horizon employee who allegedly stole the Horizon Air Q400, causing the airport to shut down temporarily Friday night. “Male is confirmed a suicidal male. Acted alone he is 29-year-old Pierce county residence [sic],” the police said, adding that it was not a “terrorist incident”. The police suggested that the crash occurred because the man was “doing stunts in air or lack of flying skills.” He crashed the plane near a small island in the Puget Sound in Washington. The air traffic controller who claimed to be Captain Bill tried to steer him from flying over the airport. “I’ve got a lot of people that care about me. It’s going to disappoint them to hear that I did this. I would like to apologize to each and every one of them. Just a broken guy, got a few screws loose, I guess. Never really knew it, until now,” the man added. Captain Bill told him to fly over water to avoid hurting people. The man was seen doing some stunts with the plane shortly before it crashed. The man said he is a “white guy”. Listent to the full audio on this thread on Twitter.